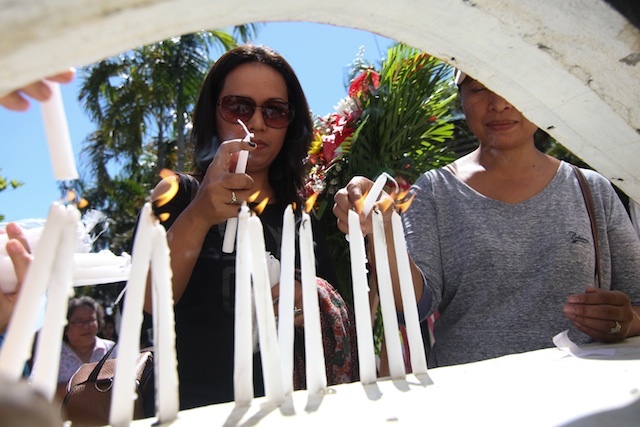 MANILA (MindaNews / 22 Nov) – Six years after the massacre of 58 persons, 32 of them from the media, the world is dismayed at the slow pace of justice for victims of the November 23, 2009 massacre in Ampatuan, Maguindanao. “Justice remains elusive,” noted a statement of the International Freedom of Expression Exchange (IFEX), a Montreal-based network of 104 free expression campaign organizations in 65 countries. The IFEX pointed out that the “glacial pace of the (legal) proceedings” to bring to justice the perpetrators contributes to the “ingrained culture of impunity” in the Philippines. Throughout the IFEX network, Nov. 23 is commemorated as International Day to End Impunity. In the Philippines, IFEX counts as member the media development group Center for Media Freedom and Responsibility (CMFR). On Nov. 23, 2009, in the quiet hills of Masalay in Ampatuan, Maguindanao, a gang of men led by then Datu Unsay town mayor Andal Ampatuan Jr. believed to be acting under the general direction of his father, Datu Andal Ampatuan, Sr., massacred 58 people in broad daylight and were in the process of burying them in three pits when authorities closed in. 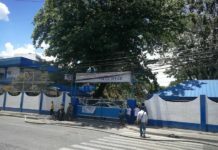 Some 32 of those killed were journalists and media workers out to cover the filing of a certificate of candidacy for governor of then Buluan town vice mayor Esmael Mangudadatu through his wife, in Maguindanao’s capital of Shariff Aguak. Mangudadatu had said that Andal Sr., the outgoing governor, earlier threatened to do everything to stop anyone from contesting for the seat which he had reserved for his son and namesake. The killing of 32 journalists and media workers was the worst single attack on the press. And its scale and horror shocked the world. Since Nov. 2, the Philippines shares with Mexico, Ukraine and Yemen the impunity spotlight throughout the world in a three-week campaign by international groups to call attention to the grave problems faced by journalists in these countries. No one has yet been convicted for involvement in the massacre. One of its principal suspects, Andal Sr., has died of liver failure while in detention. Another key suspect, Andal’s son Sajid, is out on bail and is running for mayor of Shariff Aguak town under the United Nationalist Alliance (UNA) of Vice President Jejomar Binay. Some 197 people were accused as having a role in the crime, 18 of whom carry the surname Ampatuan. Some 80 suspects are still at large. officers, and 53 members of government-supported paramilitary Civilian Volunteer Organization (CVO). “These suspects are on the government payroll and yet… government cannot find and arrest them,” lamented the IFJ in a recent statement. “Even more worrying is the failure to protect witnesses in the trial. To date four witnesses have been killed,” added the IFJ which represents some 600,000 journalists throughout the world. “The Maguindanao massacre has become emblematic of the culture of impunity which is so entrenched in the Philippines,” the IFJ further stressed. 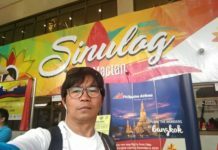 Since the carnage in late 2009, 32 more names have been added to the list of journalists killed for carrying out their work in the country, according to records of the National Union of Journalists of the Philippines (NUJP). “Perhaps nothing can illustrate better this indifference than the remarks of (President) Benigno Aquino III himself during a press conference at the White House in 2014 when he purported to play down the need to tackle violence on journalists,” the IFJ said. deterrence against violence targeting journalists,” the IFJ explained. *Provide sufficient recourses and political support to ensure that authorities conduct exhaustive and timely investigations and trials relating to crimes against journalists. Among others, the NUJP has put to task the administration of President Aquino for the current state of the prosecution of the massacre case. The CPJ said President Aquino “made only a passing mention of the massacre (case)” during his last State of the Nation Address last July. Adding injury to the seeming official indifference is the supposed political opportunism related to the upcoming 2016 elections. The NUJP has earlier slammed Vice President Binay for taking in principal accused Sajid Ampatuan into the UNA fold. 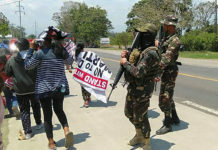 “By embracing Ampatuan, UNA insults the victims of the worst incident of electoral violence in recent Philippine history and the deadliest single attack on the media ever,” the NUJP said. “While we acknowledge that Ampatuan is within his rights to seek election pending conviction, his membership in UNA says much about how the party and its leader, who takes pride in his background as a human rights lawyer, value the ideals of justice,” it added.